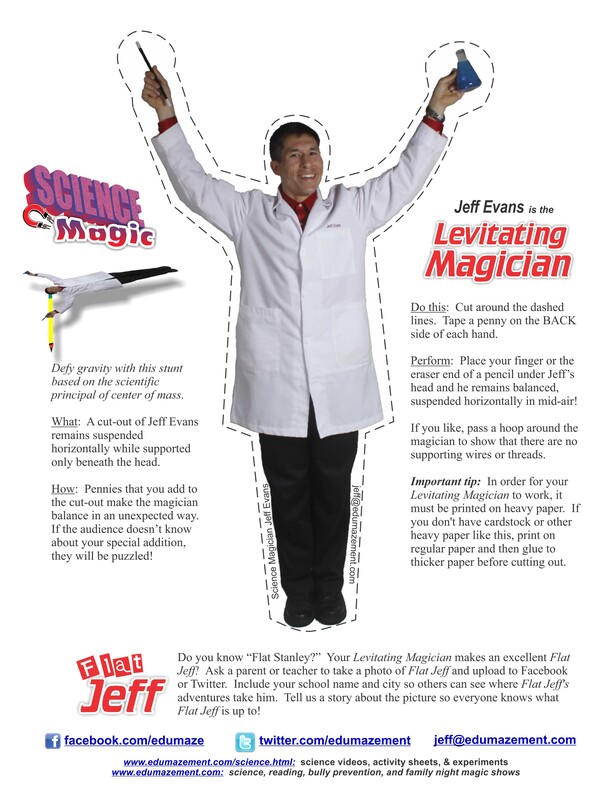 A cut-out image of Jeff Evans remains suspended on the tip of your finger indefinitely… maybe longer! Click the image below to download the PDF file. Print it onto heavy cardstock paper. Or, print on regular paper and then glue to heaver paper before cutting around the dotted lines. 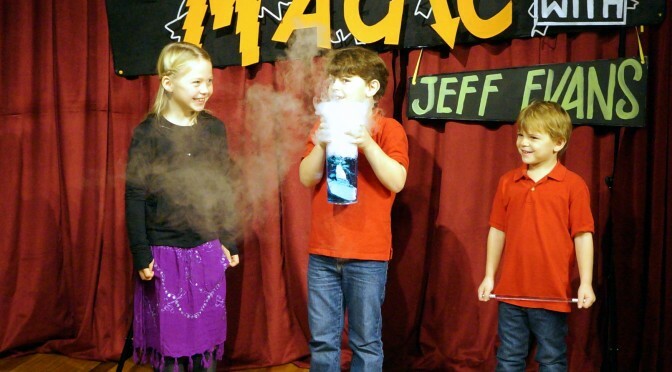 Tape a penny to the back of both hands (behind the magic wand and flask in the photo), and the resulting figure balances when supported beneath the head. Where do you perform your Levitating Magician? Have a parent or adult take and post a photo to Jeff’s fan site www.facebook.com/jeffevansmagic.